New age visicube that eliminates the problems associated with the current visicube. 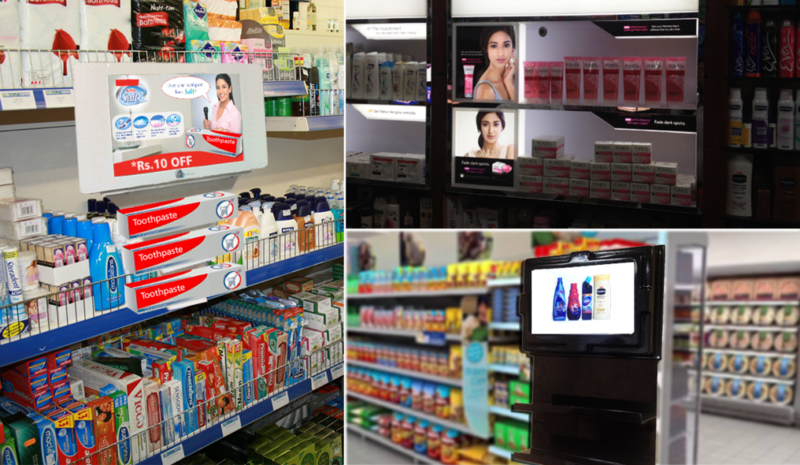 The smart visicube is an innovative way of using Internet of things ( IoT ) for retail sector by enabling brand visibility via centralised digital communication at remote locations. Powered by ER signage platform, the content can be centrally controlled from a central server and can be configured to display various content ranging from videos , images , tickers etc. Contextual adverting can be displayed based on time of day, location etc. The visicube combines attractive signage with a call to action for the user not only by drawing attention but also providing relevant contextual information to the consumer. The smart visicube is invaluable to the brand by measuring the ROI of their assets by providing real time information back to the central console. It can provide up to date information related to merchandising such as the nature of merchandising, the time when it was done, any changes in the initial merchandising etc. The smart visicube is also equipped with multiple sensors that provide valuable information about the retail location in terms of number of views, the location efficiency and other such parameters.